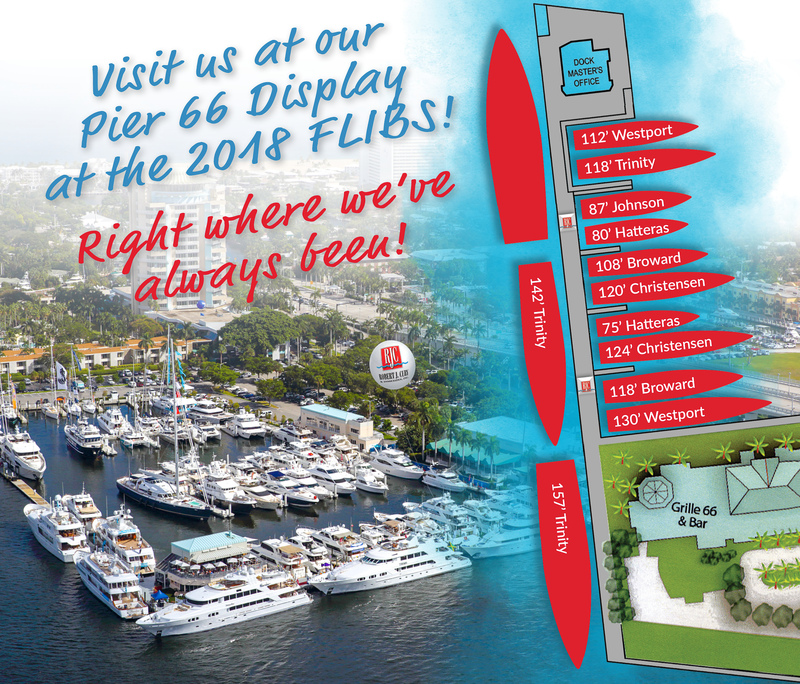 RJC Yachts Ft. Lauderdale Boat Show, Pier 66 Display! RJC Yacht Sales invites you to the upcoming Ft. Lauderdale Boat Show, Oct. 31st thru Nov. 4th. We will be featuring the following (13) vessels in our Pier 66 display ranging from 75' to 157'. Please join us for this exclusive showing of the finest selection of larger, late model pedigree Tri-Decks and Motoryachts available anywhere! Complete listing specfifications, photography available on our site.